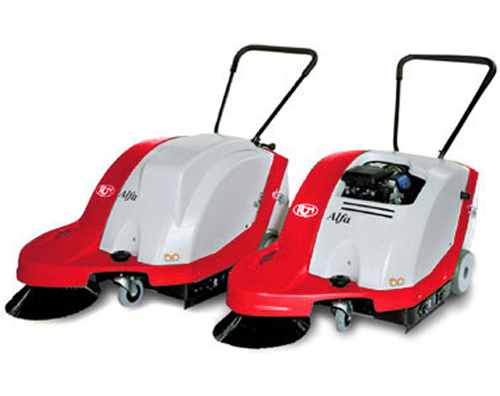 Smart Traction or “Intelligent Traction” Two brushes that, whilst cleaning the floor, move the machine forwards. It is easy to use. With its intuitive controls, Alfa can be used without any particular instructions, and also withstands neglect and lack of maintenance. It is light to drive. The operator’s hands are never worn out dfue to uncomfortable positions as Alfa has smart Traction. It is very good value as it is highly industrialised, low maintenance, and has a very strong structure and quality components.